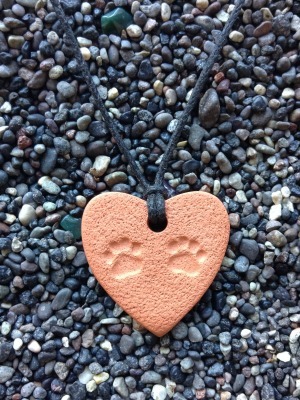 Show your love for your precious kitty by diffusing essential oils on this heart diffuser necklace! Add a Bonus Memorial Poem to transform this pendant into a sympathy gift. Click here for details! The Kitty Prints Heart pendant measures 2.5 cm by 2.5 cm (1 in by 1 in).